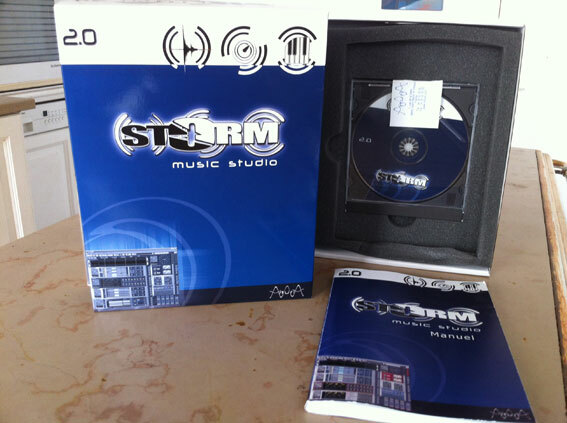 Storm 2, Electronic Music Sequencer from Arturia. 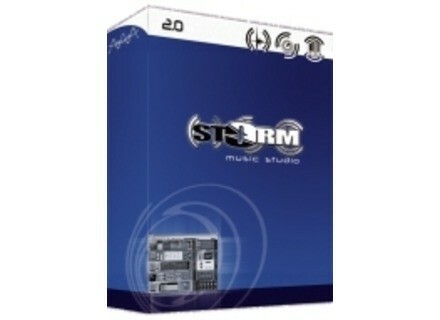 Product replaced by the Arturia Storm 3. Storm works great, except a few glitches. is really a good idea! It has more to work on foot! got my friend to lend it to me and I must say I was hugely disappointed with this software. Indeed it is easy, created easily zic is nothing but good in the business say it's a little Ejay improved. That's why I do not buy it. I am using a p4 with 256 ram and mga log works well, it can produce music with samples, the possibilities are INTERESTED, for cons to the mix we are limited. To obtain a mixing Pro, simply mastering the tracks on Cubase SX 2, or Sonar 3 producer. The installation poses no problem. Finds no incompatibility. Configuration gnrale enjoyable. Manuel Retailer well. Storm is stable but too CPU intensive! Storm sounds are impressive. The first attempts to provide a software ddi electronic music, but everything is the damn software couraging with Frans (provided you agree to use it every day in order to adopt). And the end, the sound quality is not raliss ngligeable. I do not like some modules DDIS rhythm and not at all Meteor (especially the snare): NCESS of the sampling is felt. This is a module again if we must couraging a Rap song. If you have Cubase and using Storm in VST mode with the LM-4 VST, no default is search. The effects are deadly but I regret that the best are more "compatible" with electronic music. Being able to use two studio simultanment Storm makes the software more "crdible" but I prfr it is possible to concentrate eight modules on a same screen instead of be forced to run two applications simultanment. The report qualitprix is ​​unbeatable and the price, is there a competitor (Fruity Loops?)? I'll let you test it. I Do not hesitate to buy this software if the need was felt. Arturia should think dvelopper modules axs to many musical styles prcis (history of innovation and make it a flagship software). Recommended for beginners and those who want CRER pieces quickly and efficiently. Arturia long life!